The Ship's Cook is making her way through pie recipes from the UK's major supermarkets and this British Pie Week outing is from Aldi. 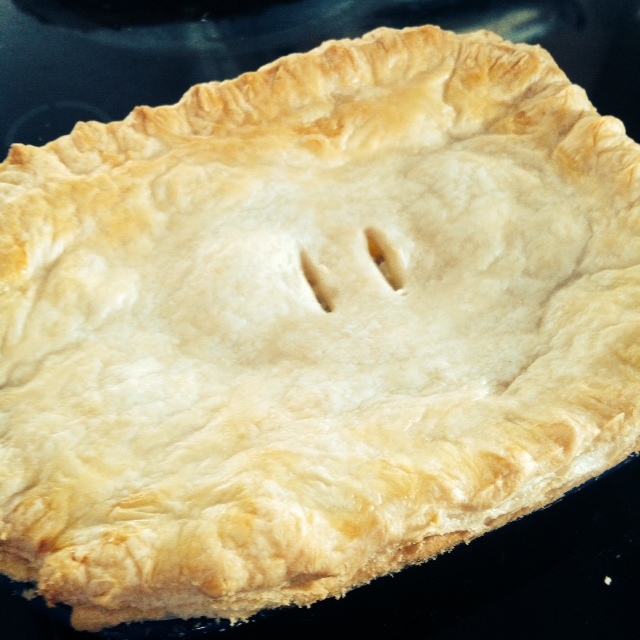 Check back this weekend to see how the Ship's Cook gets on with baking her own British Pierate Pie! If my calculations are correct, I must have baked my way around almost half of the UK's major supermarkets by now, and there are still more to come! That's a lot of pies, but never fear readers, because I'm happy to test them out so you don't have to (although I think you should anyway because pies are delicious). Unfortunately, Aldi's selection of pie recipes was in fact a selection of stews with lids, so I had to add my own blind baked shortcrust base. Clearly the Pierateers need to do some more campaigning - or should that be cam-pie-ning? I always get a bit impatient with puff pastry, but I was really good this time and left it in the oven long enough to turn golden brown - the milk and egg glaze definitely helped speed this up a bit, and it looked nicely cooked and crispy when I served it. 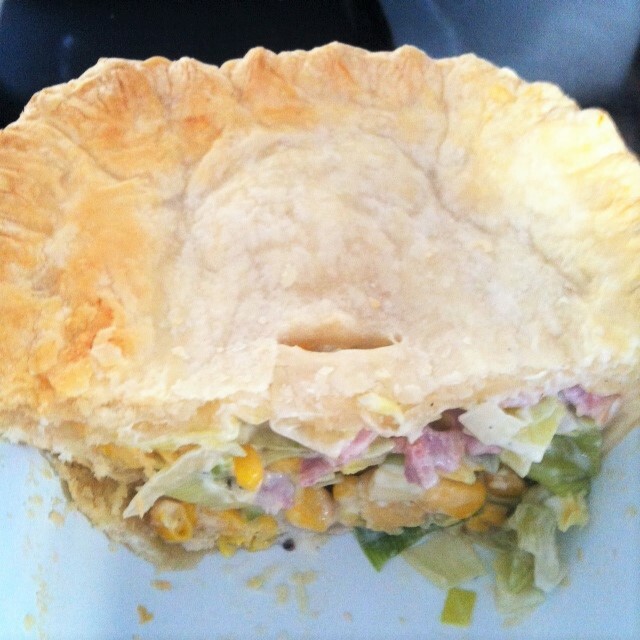 The sauce in this pie is really thick and creamy thanks to the cheese - when I tried it on its own it was a bit too rich but it went very well with the crispy pastry case and lid. 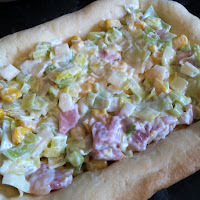 If you add your own pastry base - great, there's loads of filling to stuff in your pie. If you follow the original recipe - a bit disappointing because there's only a lid. No chewiness from the meat here - you just want to make sure your bacon is nice and crispy and your leeks are soft. The sweetcorn, leeks and bacon add some nice texture against the creamy sauce. This pie is nice and cheap, especially if you're using up the end of packet of bacon. It gets more expensive if you use branded soft cheese, but I didn't and it still tasted lovely. It's also very rich so you could probably feed more than the suggested four people and everyone would still be quite happy. This was a really tasty pie, and a little bit different to the chicken and leek combination you often see. Definitely use smoked bacon as suggested, it adds a really nice smoky flavour that balances out the sweetness of the sweetcorn and leeks and goes really well with the cream cheese. This pie came out of the oven looking great, and it held together really well when I served it - it definitely suits being a proper, fully-encased-in-pastry pie. It also smelled absolutely delicious, which I think was down to the bacon, and I couldn't wait to eat it.